By adding a blog to your website is a natural and easy way to add keyword rich content to your website. This is an excellent strategy especially if your website only consist of about 3-7 web pages or if your website is more graphical and lacks content. Blogging is a great way to create interaction on your website. 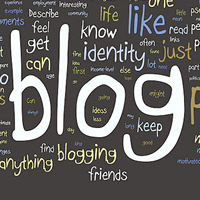 Blogs are very powerful and you can interact and reach potential customers with optimized and targeted blog posts. With blog marketing you are sharing your opinions, advice and expertise. Blogs are part of the social media marketing circle and it is not about selling directly, they are for interacting and branding. Here are a couple of advantages you can enjoy with blogging. Research: This is my best part of blogging. Every day, millions of bloggers around the world are searching for different sources to come up with their next blog posts. They are looking for interesting stuff that that they can blog about. Once you start with this loop of “researching”, it will definitely help you on what is being said about a specific topic online and at the same time increase your knowledge. Knowledge: Another good advantage of blogging is that along with the process of researching, you will learn new things you didn’t know. To regularly come up with interesting ideas for your blog posts, you will have to go through a lot of information and find out what is the best for your blog and your readers. This advantage is definitely fruitful when you are blogging about a specific topic and niche. Improves writing skills: Another advantage of blogging is that it helps you become a better writer. Just imagine yourself writing hundreds of words every week and publishing it on your blog. This will help you with your writing skills. Blogging is the practice of writing and you will gain the advantage of becoming a better writer if you blog on a regular basis. Blogging can get you famous: Did you know that you can become famous through your blog? When you blog about something that is eye catching for large number of people, there’s always a chance of getting famous for your written work. Why don’t you try this advantage and give yourself a chance to become famous online? Meet new people: If people find your blog posts interesting and valuable, they will comment on your posts and you can then interact with them. This can enable you to interact with many new people through your blog every day. By establishing new relationships with your readers is a great advantage to blogging that you cannot overlook.